Through the time, siz different ships in English Navy has been called HMS Ocean. 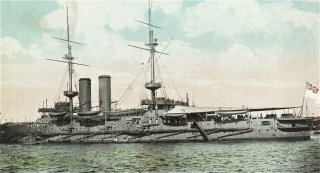 HMS Ocean, sunked in Dardanelles was the fourth of these ships. HMS Ocean was a canopus class warship that weighted 12950 tons with her 4 12" and 12 6" guns. 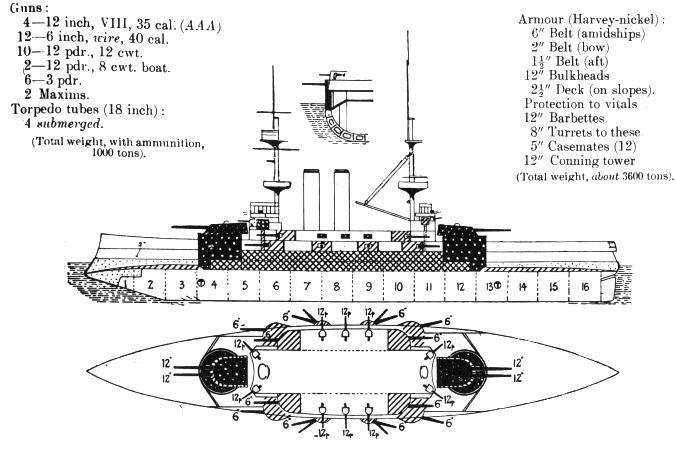 The canpous class warships was the first ships that were protected by Krupp steel armour. This armour was protecting 50% more from the classical Harvey steel and was 3 times stronger than the usual iron. Also this class had water boiler tank system which was lighter, smaller and more effective instead of locomotive steam system. Her construction started in 15th of February 1897 in Devonport Dockyard. She has been called unlucky because of the problems that she faced while she was being constructed. She had also problems while she was first put to the sea, they couldn't move the ship. It took a few hours for Princess Louise to finish the ship putting on water celebration. Because of these reason the ship had been called "The ship that did not want to go to sea”. Her construction has been completed in February 1900 and she started her first mission in the Suveys Channel. She has been sent to Chineese station in 1901. She continued her mission after joining the Chineese fleet in 1906. She returned to mediterrenan in 1908. She returned to her home in 1910 and started her missions in the 4th fleet under the main fleet. After two weeks later from the start of the World War I, she has been ordered to protect the East Indian convoy. She helped in the protection of the Suveys channel against Turks. After that she was sent to Canakkale, in order to proceed in the Canakkale campaign. She had served in the bombardment of the castles and strait defenders. Her captain was G.S. Benning. 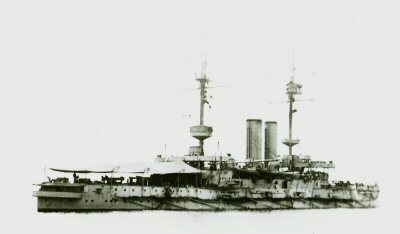 She towed and started pulling HMS Irresistible which lost steering controls by hitting to a mine during strait operation in March 1918. But also she strucked to a mine and got a lot of heavy damage from the good aimed shells. The crew abondoned the ship at 19:30 o'clock and HMS Ocean sunked in 3 hours. While the bombardments were continuening, things were getting better in Irresistible. Her lying to the side had been stopped. Actually her stern was under the water but it wasn't so bad than the time when Wear destroyer was near.. Keyes, decided to return back to De Robeck and offer him to pull Irresistible back to the straits when its dark. By this the ship would return to a good position by the drift. While turning she approached to Ocean and ordered to pull Irresistible. But just at that time, another disaster happened. The sea shaked with a huge explosion and Ocean layed to her side suddenly. In the same time a shell hit to her steering controls and she started making circles instead of escaping through the straits. The destroyers that were waiting ready for two hours collected crew instantly. After that moment The Turks have a second incapable target and The shore batteries started bombing the ship. 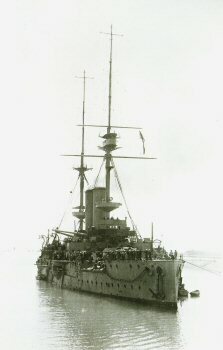 Keyes returned with bad news to De Robeck who was in HMS Queen Elizabeth waiting just outside the straits. When Keyes arrived, the captains of Irresistibel and Ocean had been rescued and they were with the admiral. A though briefing had been done. Keyes stated the incapable actions done while trying to tow Irresistible. After that he suggested to torpedo Irresistible and save Ocean. De Robeck accepted this idea. But both the ships sunked in that night and he couldn't find them. I was sure we were against a defeated enemy. After noon at 2 pm, I thought we are being defeated, after 4 pm, I know we are defeated.